In January, I’m beginning to miss gardening while I’m stuck in the house, so I find that January is a good time to make some herbal combinations to lift my spirits and promote good health. The first step is to concoct herbal combinations from the plants I’ve dried during the growing season. My favorite is one I’ve named “the sinus soothers.” I cut a square of unbleached muslin or cheesecloth, large enough to accommodate a ¼ cup mixture of eucalyptus, mint, and lemon grass (or lemon verbena). I boost the smell a bit with some eucalyptus oil. I give these to other sinus sufferers and keep a good number of the sachets for myself. I can then put one small bag in the shower or in a tub of hot water and experience the smell and steam that opens the winter-worn sinuses. I have another sachet for use in my closets and chest of drawers or to pop in the bath to relieve the winter blues and achy joints. I cut squares of muslin or cheesecloth and combine dried rose petals, dried lamb’s ear, and lavender buds that have been removed from the flower stems. I boost the scent with several drops of rose oil and stir the mixture carefully. I then place 1/3 to ½ cup of mixture in the fabric squares and secure with heavy string. 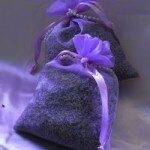 The herb lavender has been used historically as a “cleansing” herb and the scent mixes well with the rose petals. The lamb’s ear is traditionally used as a good base with its soft and attractive silver leaves and purple flower buds and is reported to ease inflammation. I find the herbal sachets promote a sense of well-being and lift my spirits, all the while reminding me of the previous year’s growing season. 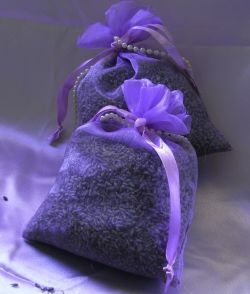 Remember your special friends and relatives with some lovely scented sachets and share the bounty of your garden. I think you will “resolve” to grow and dry more herbs for the home and your health.